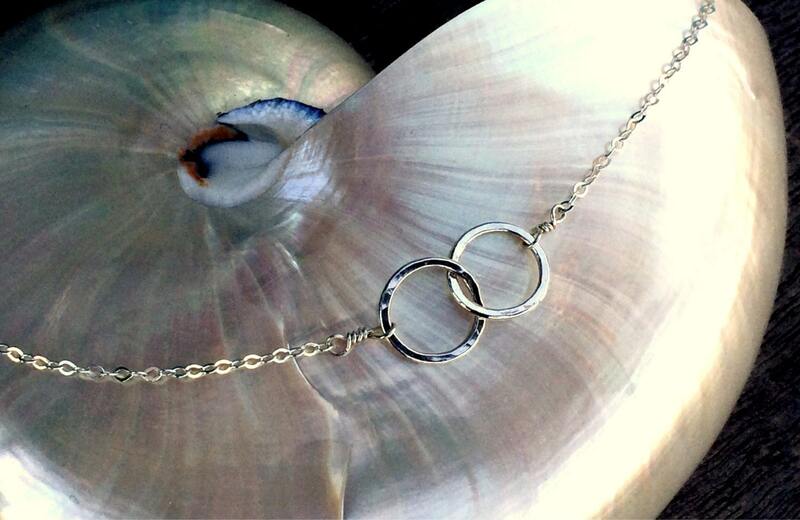 Featuring two small hand forged fine silver interlocking circles (.999). Wired by hand onto an Italian sterling silver chain (.925). This bracelet is adjustable up to 8". Other lengths available by request. Finished with a small sterling silver lobster clasp.